Welcome to the Aromatherapy Blog! Here you will find the latest additions and updates I have made to Your Aromatherapy Guide. whenever any new web pages appear or have been updated on Your Aromatherapy Guide. about any new aromatherapy recipes, tips, or useful ideas. about your views, stories and creative ideas! To subscribe to Your Aromatherapy Guide Blog (no e-mail necessary), right click on the orange RSS button (see the buttons in the right hand column), left click on "Copy Shortcut" and then paste the URL into your RSS reader. Or click on the My Yahoo button or My MSN or Add to Google button if you keep a personalized page there. If you are not sure what RSS and blogging is all about, don't worry! Just click on the 'What's an RSS Feed?' link in the same box. Once you start, you will be amazed what RSS can do. Continue reading "Awaken Your Inner And Outer Goddess "
Discover rosemary essential oil and its wonderful stimulating, uplifting and rejuvenating properties. Good for using in massage blends for aching muscles. Continue reading "Rosemary Essential Oil - Therapeutic And Fantastic For Skin And Hair Care." Patchouli essential oil. Whether you love it or hate it discover its wonderfully versatile properties! Great for skincare, personal hygiene and aromatherapy diffusers. Continue reading "Patchouli Essential Oil. An Exotic Scent And Fabulous Skincare Properties." Juniper essential oil is wonderful for detoxing your system both physically and emotionally. It is often used in aromatherapy to help calm nerves and relieve anxiety. Continue reading "Juniper Essential Oil. Discover Its properties And Uses In Aromatherapy." The Heart Chakra. Which Essential Oils Will benefit Your Love Centre. The heart chakra governs self-worth. Find out which aromatherapy essential oils are best for balancing the love of self and aligning the fourth chakra. 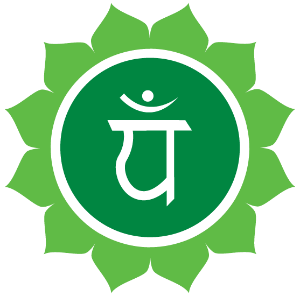 Continue reading "The Heart Chakra. Which Essential Oils Will benefit Your Love Centre." Brilliant for treating psoriasis, I blend it with Lavender and Rose Geranium to relieve the itching, stress and sleeplessness this condition causes. Continue reading "Lavender oil & Lemon oil"
Discover lemongrass essential oil and its benefits for your circulatory system. Find out its uses and how to enjoy the sweet, lemony, citrus aroma and be revitalised in body, mind and soul! Continue reading "Lemongrass Essential Oil - Refreshing and Rejuvenating." When I inhale Cedarwood, I sigh with relief. I love that it is calming not only to muscles, but to the respiratory system, intestines, heart and nerves. Continue reading "Patchouli Essential Oil"
Chamomile essential oil is calming, soothing and anti-inflammatory. This aromatherapy oil is good to use with children, pre-menstrual tension and for relaxing massages. Continue reading "Chamomile Essential Oil. How Its Therapeutic Properties Will Benefit You."